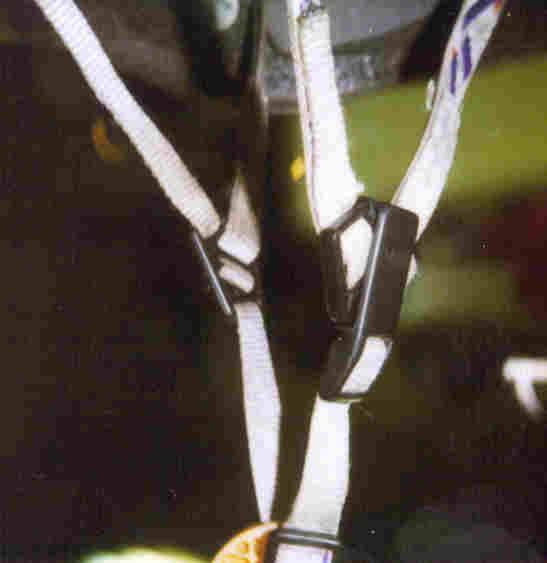 Summary: How do the straps go through a helmet buckle? If a strap comes completely loose it may be tricky to get it back correctly. These diagrams and photos show you how. 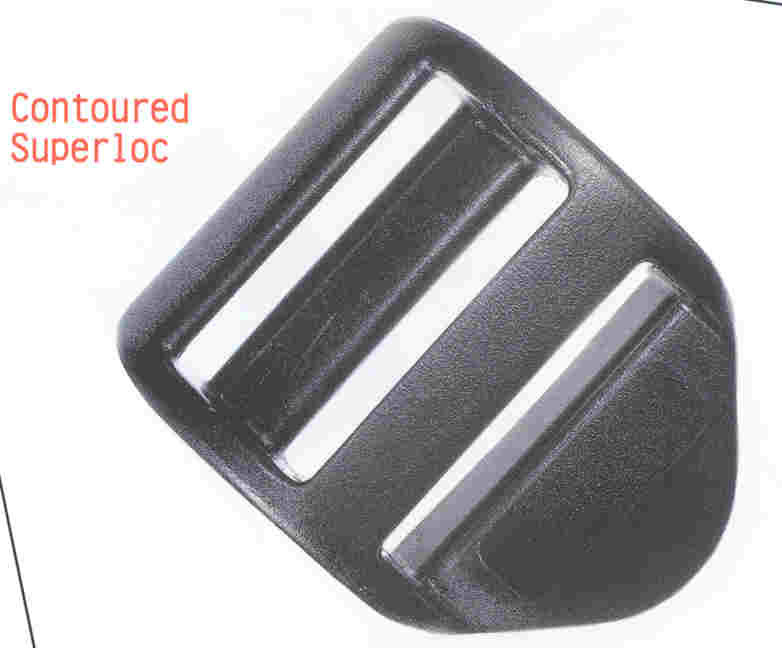 Note: We are indebted to ITW Nexus, the manufacturer of most helmet buckles sold in the US market, for the following illustrations from their catalog. If you know what buckle you are looking for, you can also find it on their ITW Nexus Web site. 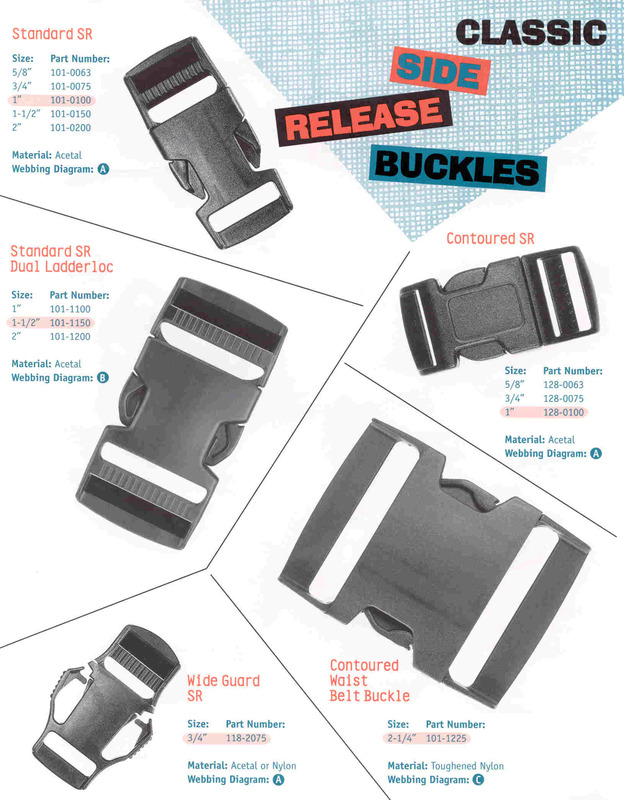 Here is the full range of ITW Nexus buckles. You can find similar info in popups accessed buckle by buckle. 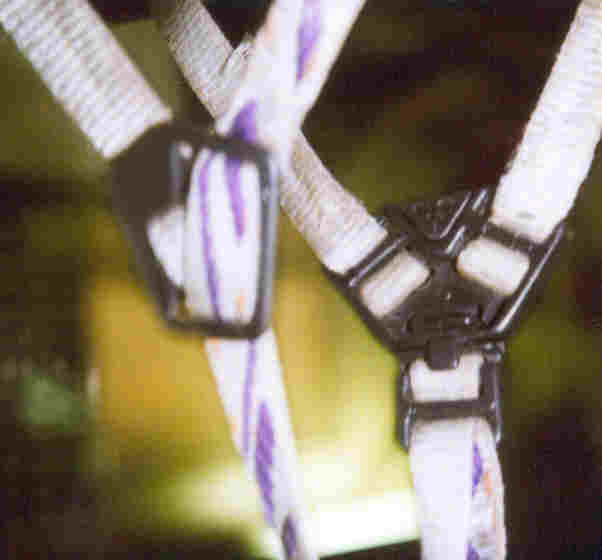 The helmet is at the top of the photo, with a weight hanging from the strap. The straps have been trimmed in length and sewn at the ends to prevent "strap creep" from loosening them in use. We hope to add to this page. Send us your own closeup of your buckle with correctly routed strap to help out the next poor soul who can't figure this one out! A manufacturer of helmets whose buckles are all sewn in points out that buying a helmet with sewn-in buckles will prevent this problem from ever coming up. 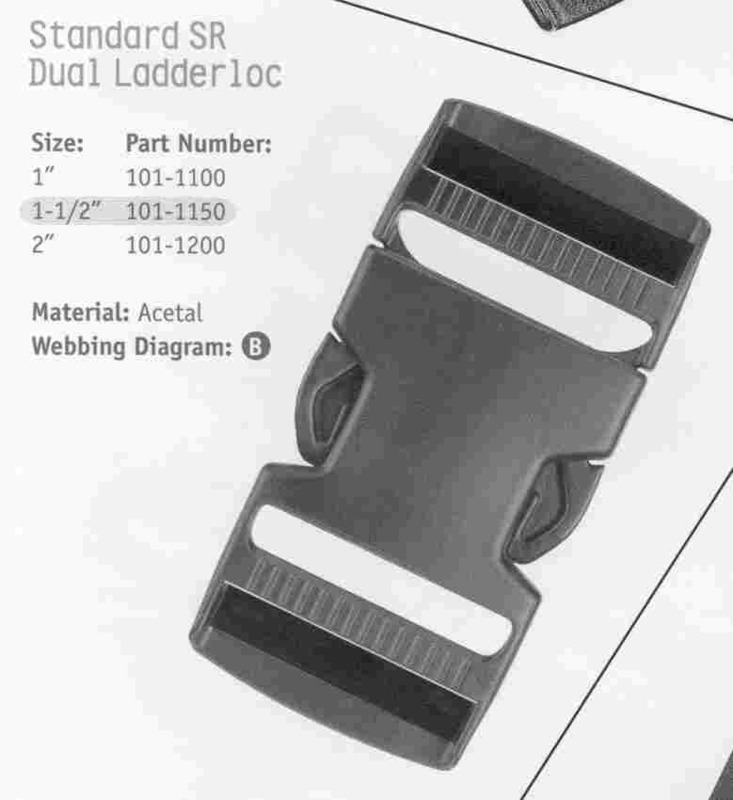 That imposes some limits on buckle design and increases the costs of production slightly, but might well be worth it. 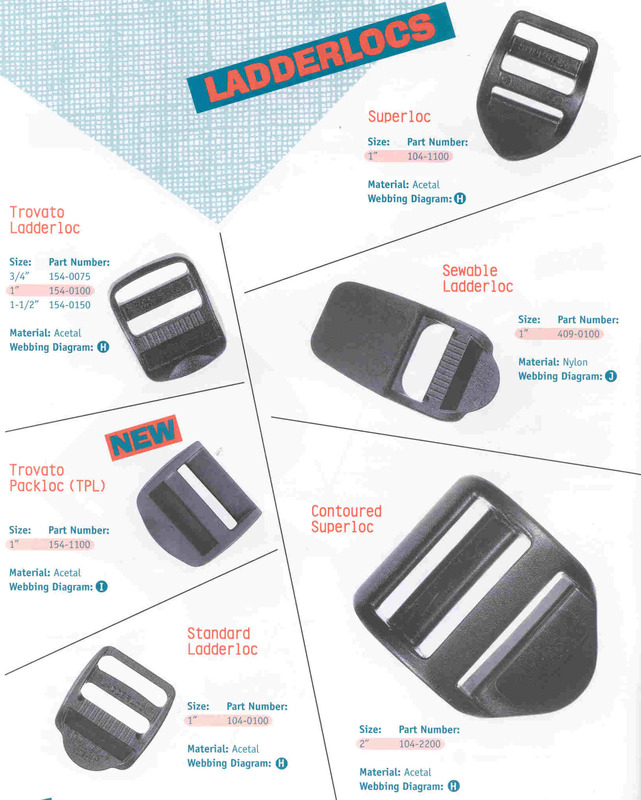 If your buckle is broken, here is our page on replacement buckles. Here is our page on finding a replacement buckle. 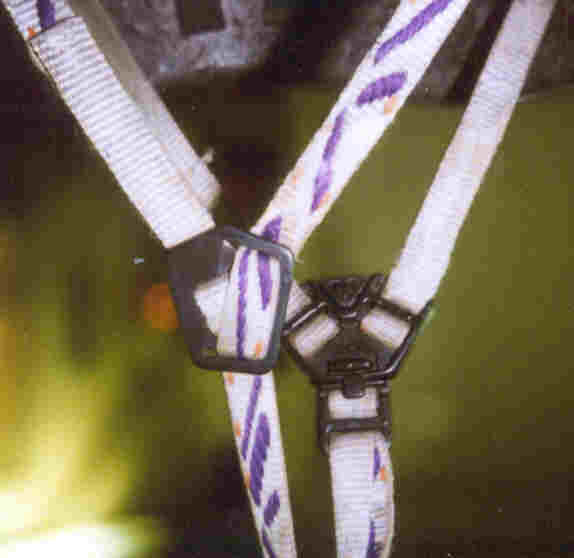 Here is our page on why straps "creep" out of adjustment and why they loosen when you sweat on them.